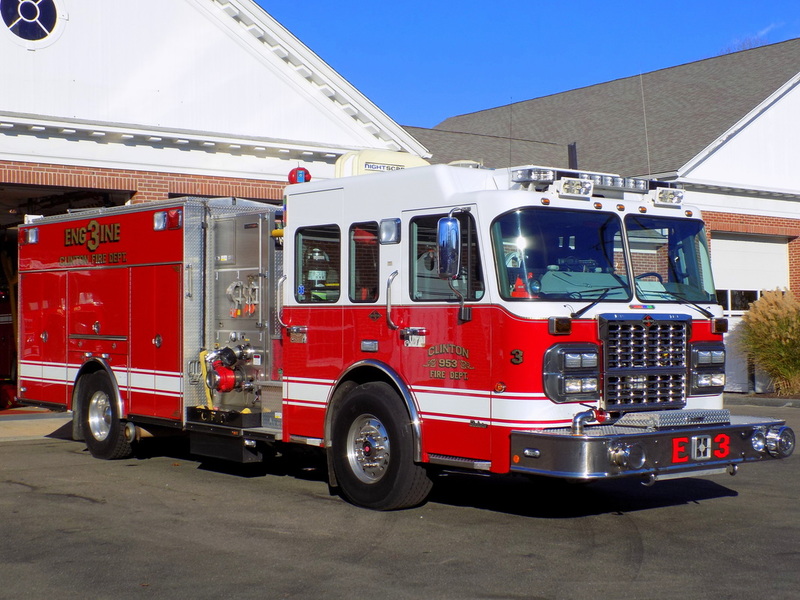 This is the page for the Clinton FD. They have 3 engines, 1 tanker, 1 tower ladder, 1 rescue truck, 1 brush truck, 3 ambulances, 2 utility trucks, 1 EMS SUV, and 2 stations. 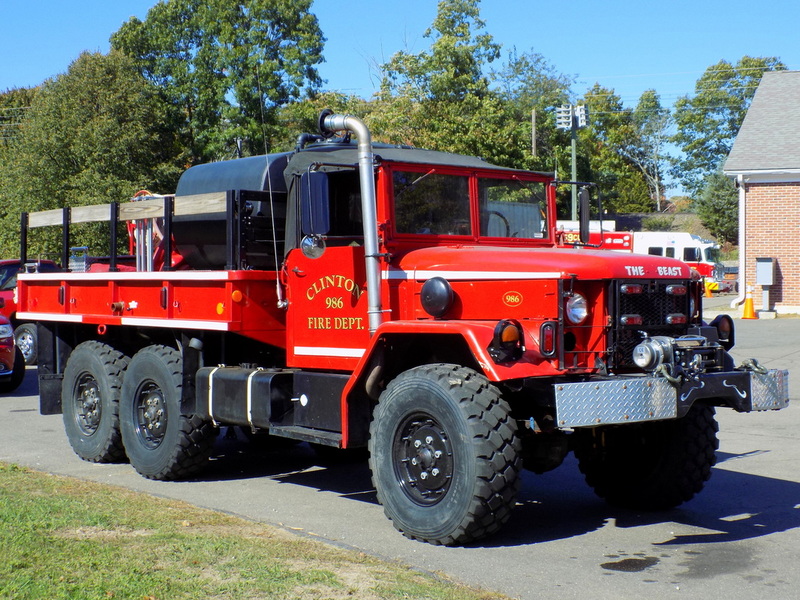 Clinton's Brush 9-8-6, a 1970 AM General 6X6 deuce-and-a-half truck. 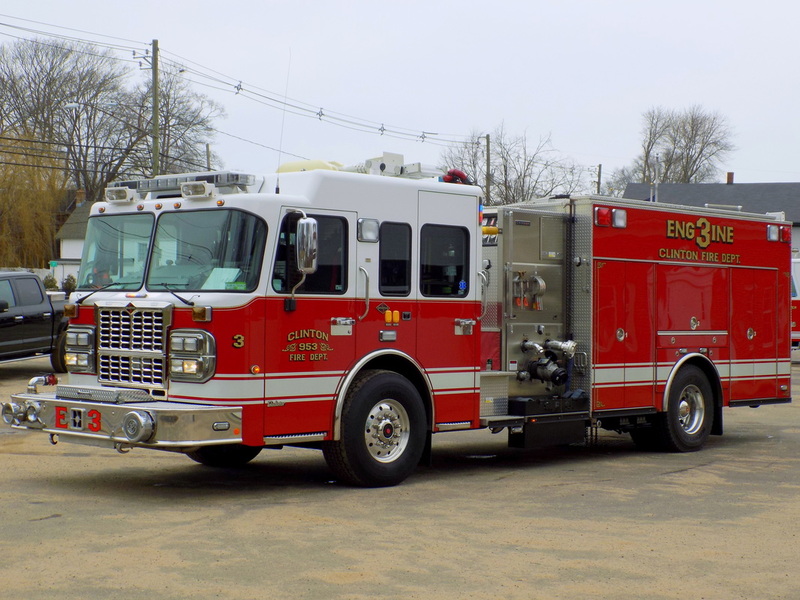 Clinton's Engine 9-5-2, a 1998 Spartan/US Tanker. 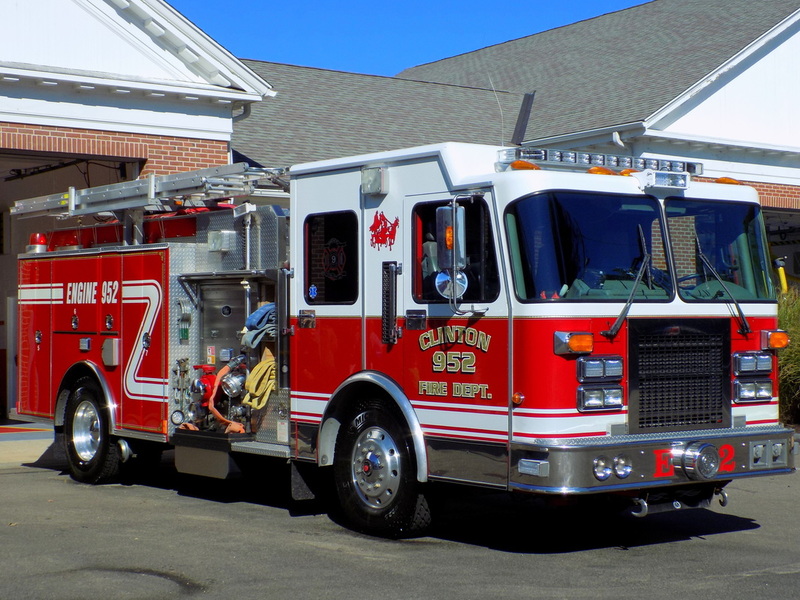 Clinton's Engine 9-5-3, a 2008 Spartan/Crimson. 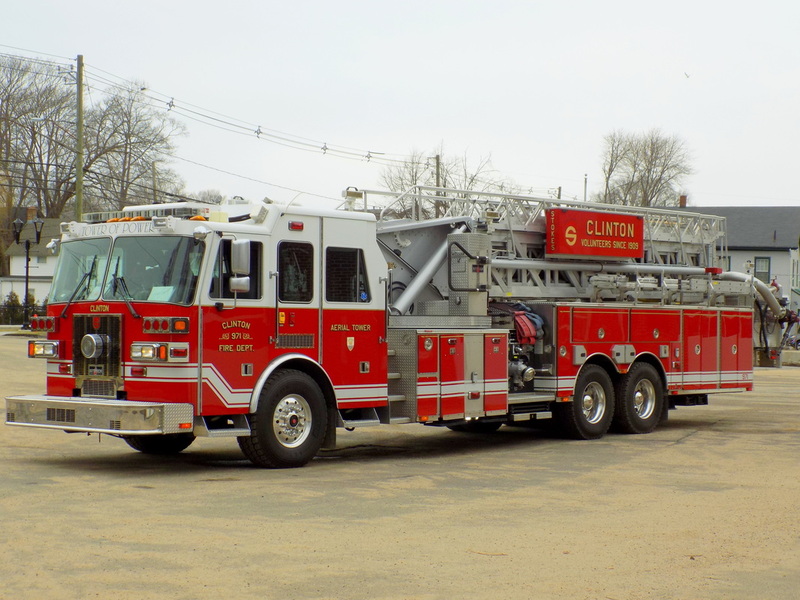 Clinton's Tower 9-7-1, a 2003 Sutphen 110ft mid-mounted tower ladder truck. 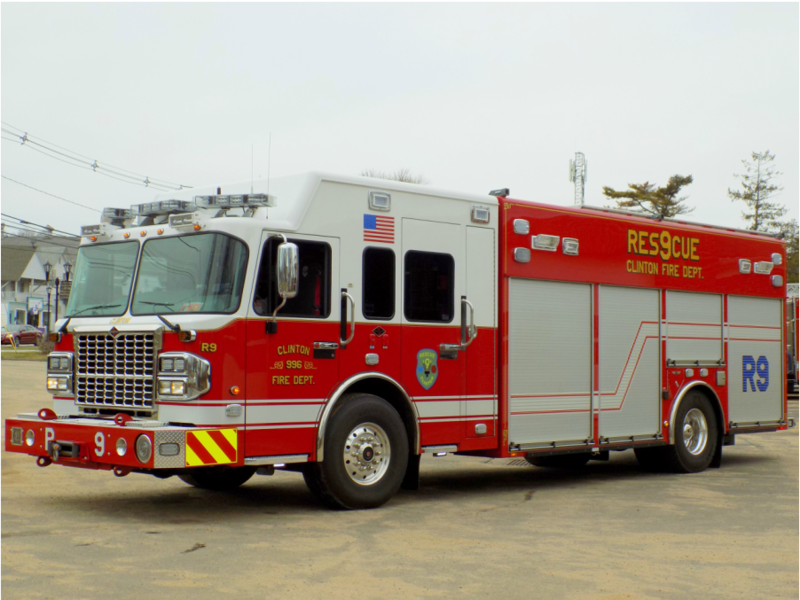 Clinton's Rescue 9-9-6, a 2013 Spartan/SVI.